There is a broad and long-standing debate on possible solutions to the regional vulnerabilities of globalisation. In 2014, the European Commission began implementing Smart Specialisation Strategy, a place-based strategy of growth, regional transformation and new industrial policy with collective entrepreneurial discovery processes (EDP) at its core. 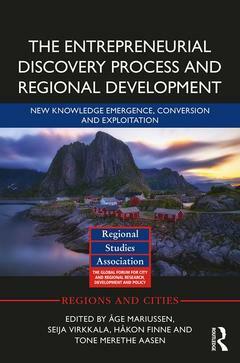 This volume approaches the mystery of entrepreneurial discovery; that is, how relevant knowledge is created, converted and shared in a process of discovery. These essays bring together scholars from economics, geography, sociology, organisation studies, innovation studies, and complexity theory, offering new approaches to overcome the limitations of place-based development and suggesting improved methods leading to growth.